I promise to connect the surfing pig with writing resistance via the intriguing tangents I’m about to lead you through. When I was a kid, I hated going to bed. I especially hated going to bed in the summer when it was still light outside. I was the youngest kid, so I was supposed to go to bed first. My brother was two years older than me and took it as a personal affront and an injustice of Biblical proportions if I wasn’t in bed at least a half hour before he was. I knew stuff happened after I went to bed, stuff I didn’t want to miss out on. I devised ingenious ways to sneak out of bed and watch what was going on. I knew it! I knew there was something primal behind my resistance to sleep. The thing I could be missing could be essential to my survival. While you’re pondering that, take a look at this video of polar bears and dogs playing. 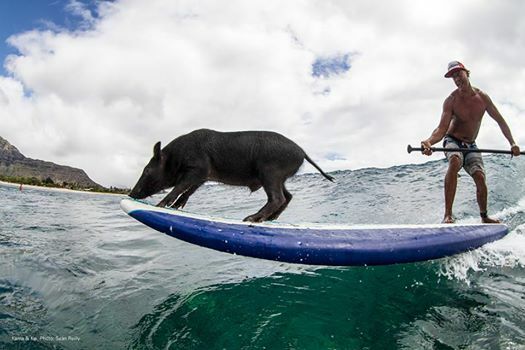 Cue Kama, the surfing pig. We spend a third of our lives asleep. It’s hard to say how much time we spend playing, but any time spent needlessly exposing ourselves to danger seems too much from the evolutionary standpoint. 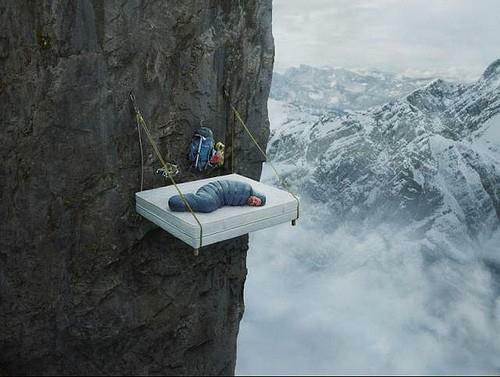 Certainly there must be ways to get the benefits of sleep and play without exposing ourselves to such risk. From a strictly evolutionary perspective, sleep and play are frivolous. Which makes me think that there must be more to life than mere survival. So here’s that writing-related point I promised: There are times when writing feels like an overwhelming risk; that’s when your limbic system takes over. Your limbic system cares only about survival. But you are willing to risk your life sleeping and playing because there is more to life than work and survival. If Kama the pig can joyfully get on a surfboard, surely you can find the courage to write for the sake of the something more that writing brings to your life. After all, no one ever wiped out, fell off a mountain or got killed by leopards while writing. I had this page open just as I peered over my iPad and told my nine-year old yet again that it’s time for him to go to sleep. I read your passage aloud to him about how much you hated going to bed, and he laughed. Now Geronimo Stilton has been put away and the lights are out. Thanks Ed. I’m always delighted to make someone laugh.